Winfield Bevins is passionate about equipping others for missional engagement in a post-Christian context. He is Director of Church Planting at Asbury Seminary and also serves as Director of Re-missioning for Fresh Expressions US. As a seasoned practitioner, he has helped plant several churches and has used his experience to train leaders from around the world. Winfield is a sought after missional consultant and frequently speaks at conferences on a variety of topics. 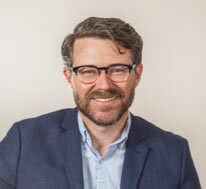 Winfield is the author of several books including Church Planting Revolution and Marks of a Movement. As an author, one of his passions is writing about the intersection of spiritual formation and mission. You can connect with him at winfieldbevins.com or Twitter @winfieldbevins. are yearning for a movement in the present.